From bright, refreshing green tea to earthy, rich pu-er. There are many types of tea, each with hundreds of variants to choose from… but how can you choose? 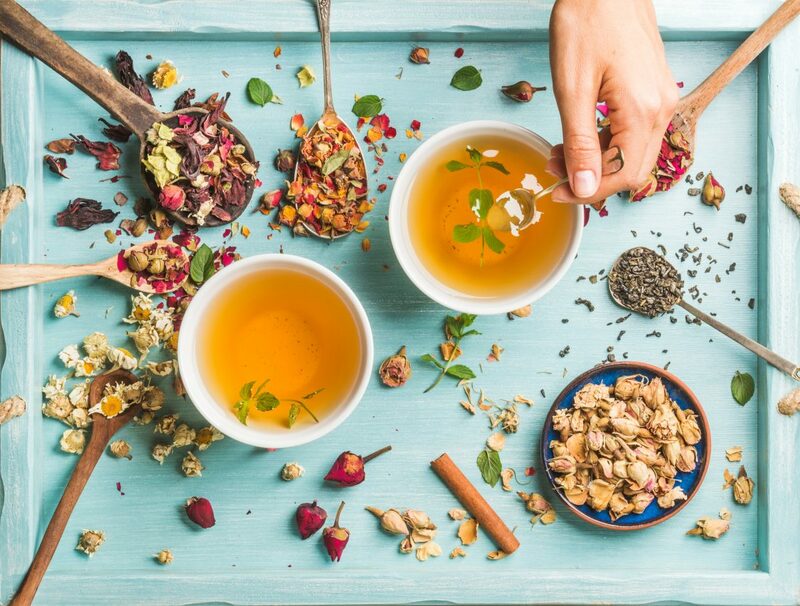 It’s not an easy task but picking the best type of tea for your flavour preferences or desired health benefits is possible. We love trying out each and every tea to find varieties we love, but there’s not always time. So, we’ve compiled our knowledge on the 12 types of tea so you can quickly pick out a new tea that’s perfect for you! After the fresh, green tea leaves and buds have been picked from the tea plants, they’re withered to reduce moisture and “fixed” to keep their verdant and green qualities. By quickly heating the leaves (by firing them in pans or an oven, or steaming them with water) you deactivate the enzymes that oxidise the leaves and turn them brown. Once they’ve been fixed to stay green and fresh, they’re rolled and shaped by hand or machine. While China leads the way with the highest amount of green tea produced, green tea is the most consumed type of tea in Japan – Sencha and Matcha may well be more well-known than Chinese green teas as a result. Green tea is also produced in Korea and a handful of other countries around the world, but to a lesser extent and few are widely consumed or known outside of those countries. China Longjing “Dragon well” whole, uniform green tea leaves Mild, sweet, rounded and slightly nutty Typically oven-fired, pan-fired or basket-fired green tea. This gives the tea a warmer, golden appearance and taste rather than grassy or vegetal. Green tea is the most produced type of tea in China. Japan Matcha Gyokuro shade-grown leaves ground into powder Complex, rich and astringent with sweet aftertaste Japanese green teas are primarily steamed rather than fired, giving a lighter, grassy and sweet flavour rather than warm and nutty. Korea Ujeon “Pre-rain” young leaves and buds picked before late April rains Gentle, sweet and soft Korean green teas are named/graded based on the flush (time of year they are picked) and the size/shape of the leaf. Will I Like Green Tea? Green tea is refreshing and bright, rather than rich and comforting like black, oolong and pu’er tea. That being said, you can drink it with milk to add a creamy note, as we explored in our recipe guide to milk tea. 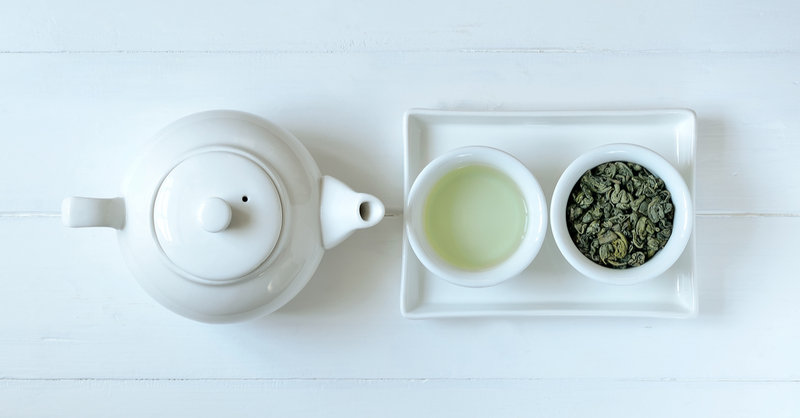 Without milk, green tea isn’t always sweet – it can be savoury, vegetal or umami in flavour. Green tea, along with white tea, contains the most antioxidants of all tea types. 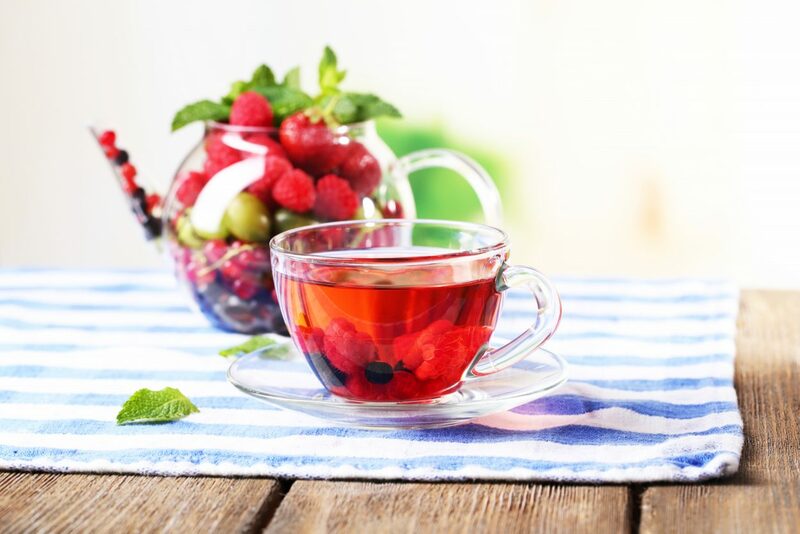 It’s a very healthy tea (when drank without sugar, additives or cream) that can do everything from brighten your skin to prevent free-radicals causing cellular damage, leading to cancer. You’ll like green tea if you crave light, refreshing after-dinner drinks to freshen the palate. Black tea, referred to as red tea in China because of the mahogany red colour, is made by oxidising the fresh tea leaves to darken them and intensify the flavour. The tea leaves are processed first by withering them to reduce the moisture content. When they’re dry and malleable, they’re rolled around to lightly crush them and release the natural chemicals and enzymes within the tea leaves – this helps them to oxidise in the next step. The leaves are left out in the open air to oxidise and slowly darken. Once they’ve reached the desirable level of oxidisation, they’re fixed by firing them just like with green tea. Finally, the leaves are rolled and shaped to be packaged and sold as loose-leaf black tea. China, India and Sri Lanka (Ceylon) produce some of the most well-known and renowned teas in the world. Most black tea in standard supermarket tea bags is a blend of cheap black teas from Kenya, India, China and anywhere else manufacturers can find black tea at a low cost. China Lapsang Souchong Black tea dried over smoking pine for a strong flavour Smoky pine, wood, earthy, whisky notes Chinese black tea (known in China as red tea) is grown in various districts and is categorised by area/terrain. Lapsang Souchong is, for example, a very famous tea type from the Wuyi category. India Assam Grown in the Assam region of India, often used in breakfast tea blends Brisk, malty, rich, warm and strong Black teas from India are very popular and drank worldwide. They vary drastically from one region to another. Kenya Mixed Many varieties processed for tea bags or blended with other varieties Brisk, full-bodied, good with milk Kenyan black tea is very full-bodied and brisk. It’s primarily used as a blend with Assam and Ceylon teas to create classic tea blends, although some high-grade varieties are sold as single origin teas. Turkey Rize Grown in the Rize province of turkey Full-flavoured, strong, mahogany colour Turkish tea is grown specifically for Rize tea, which is a beautiful strong, amber coloured tea usually drink in small glasses with sugar cubes across Turkey. Sri Lanka Ceylon Long wiry leaves, harvested all around Sri Lanka (formerly Ceylon) Mellow, full-flavour, crisp citrus and bold notes Ceylon black tea is grown on a variety of estates all at different altitudes, giving the tea different qualities. It’s enjoyed as a single origin tea and also as a base tea for blends such as Earl Grey and English Breakfast. Taiwan Black Jade Taiwanese tea variety with natural sweetness, grown across Taiwan Notes of honey, cinnamon and mint Taiwanese teas (also known as Formosan tea) are most well-known for their oolong varieties, but the Black Jade tea variety of Taiwan is also worth noting. Will I Like Black Tea? You will love black tea if you enjoy, rich warming and intense tea flavours. Black tea goes particularly well with milk or cream and sugar. There are some light black teas that are a good stepping stone if you want to try something lighter but aren’t ready to start drinking green tea, particularly Darjeeling and a few light Chinese black teas. 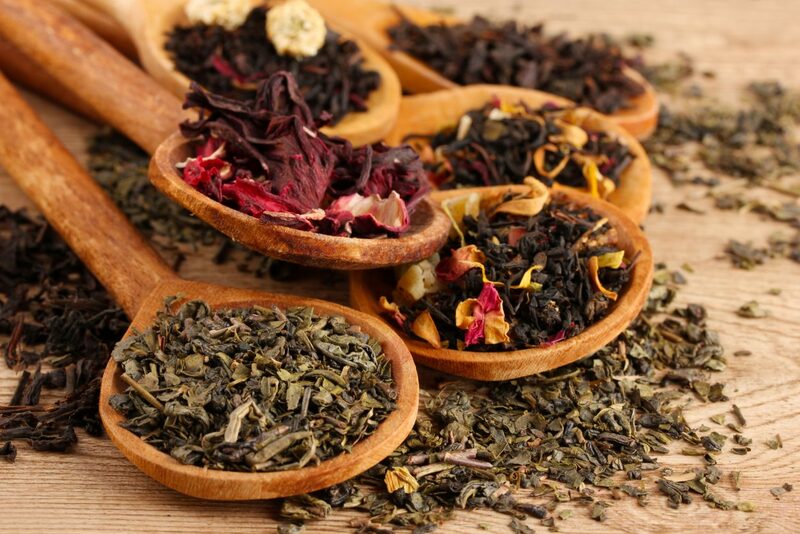 Compared to green tea, black tea has less nutritional value. It has a higher level of caffeine and lower levels of L-theanine and EGCG. 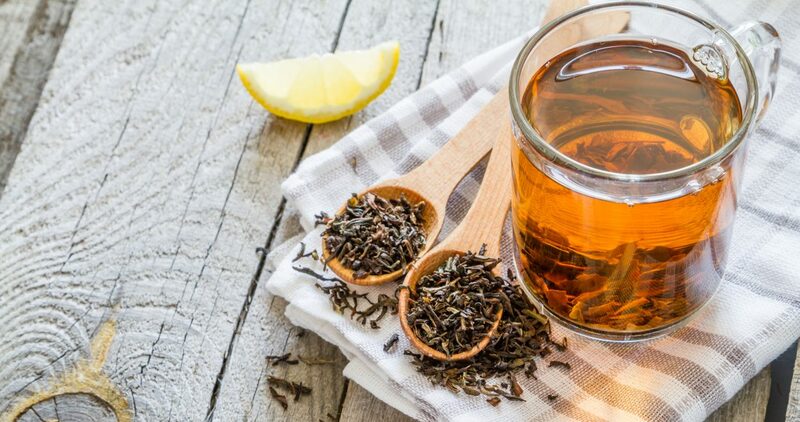 Black tea also contains theaflavins that are not present in green tea – these polyphenols are only formed when the tea leaves are heated and can help reduce cholesterol and improve oral cavity health. To get the most health benefits from your black tea, drink it without milk, sugar or additives. White tea is the least processed of all the tea types. As soon as the very young tea leaves and buds are picked, they’re fixed using heat, then rolled and packaged. The young tea leaves and buds have a delicate, sweet flavour and are often covered in tiny white hairs – they contain low levels of chlorophyll, meaning they’re not yet green and bright. White tea is primarily from China, but there’s also a few famed white tea types from other countries, like Malawi’s white antler tea. It’s one of the most highly-prized and delicate tea types available. China Bai Hao Yinzhen “Silver needle” silver coloured buds, the highest grade of white tea Light, sweet, rich with woody notes and a floral aroma White tea originates in China, where its type depends on the grade. 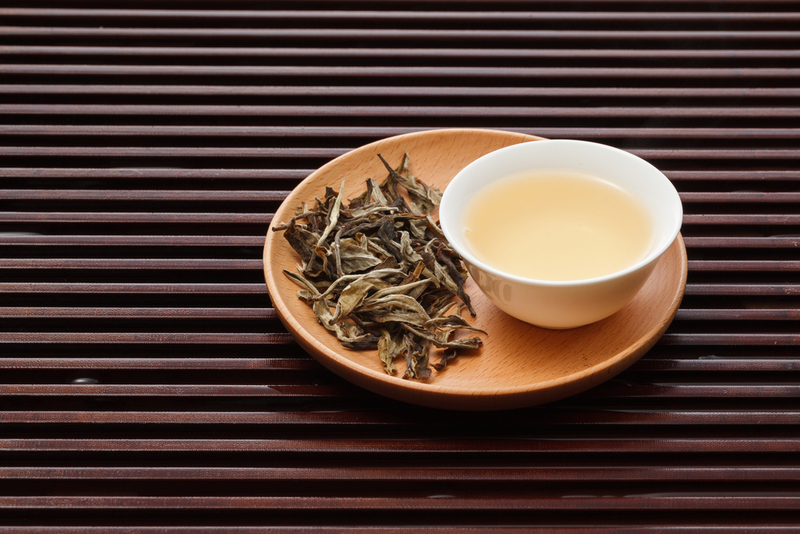 Chinese white tea is light, floral and sweet at each grade. It’s mostly harvested from the Fujian province. Sri Lanka Ceylon White Tea Ceylon silver tips, harvested from the first flush of high-grade Ceylon tea Pale yellow colour, delicate, floral and creamy honey Ceylon white tea is rare. As it’s harvested and processed by hand, it’s costly too. Africa Malawi White Tea White tea “antlers” are long, thin twiggy white tea leaves, graded with the same categories as Chinese tea Smooth, sweet and floral White tea is harvested in a handful of small estates in Malawi and other African countries. It’s less well-known and very smooth and sweet, typical of all white teas. India Darjeeling White Tea Rare Darjeeling white tea is handpicked light, fluffy tea buds Light, mellow, slightly sweet with a delicate aroma As Darjeeling white tea is handpicked at high altitudes, it is very rare and highly sought-after. Will I Like White Tea? They say Darjeeling is the champagne of teas, but we think white tea as a whole should be given that name. It’s typically light, sweet, floral and very delicate, sometimes with honey and nutty notes. You’ll love white tea if you’re a fan of delicate green teas and are looking for something a bit different for a special occasion. Due to the processing, or lack of processing, this tea goes through, it has the highest level of fresh catechins and antioxidants. If you’re looking for the tea type that will offer the most health benefits, choose white tea. Yellow tea is a specialty tea only produced in China. It’s very rare and throughout history it’s been given as tributes or gifts to the emperor. Yellow tea is picked, withered and fixed with heat just like the green tea process. 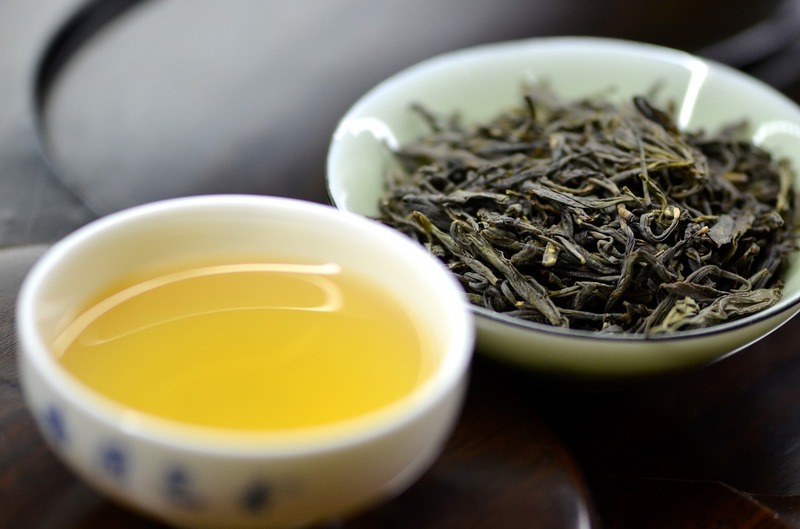 What makes yellow tea different is the unique oxidation process. After the leaves and buds have been fixed, they’re sealed in paper and left in a moist, humid environment for 2 days. This gives them their unique flavour without turning the tea into black tea, as the enzymes have already been deactivated before they’re oxidised. It’s a time-consuming process that results in a very delicate, delicious tea type. Junshan Yinzhen “Silver needles of the gentleman mountain” a famous yellow tea from Junshan Island and Mao Zedong’s favourite tea Refreshing, sweet and mellow Yellow teas are typically very similar to white and green teas in flavour and colour, but more complex and desirable. Will I Like Yellow Tea? You’ll love yellow tea if you enjoy green tea and have a large budget! Genuine yellow tea isn’t cheap – there are fake yellows (green tea sold as yellow tea) on the market, so choose carefully when buying yellow tea. Like green tea, it has refreshing and subtle flavours. 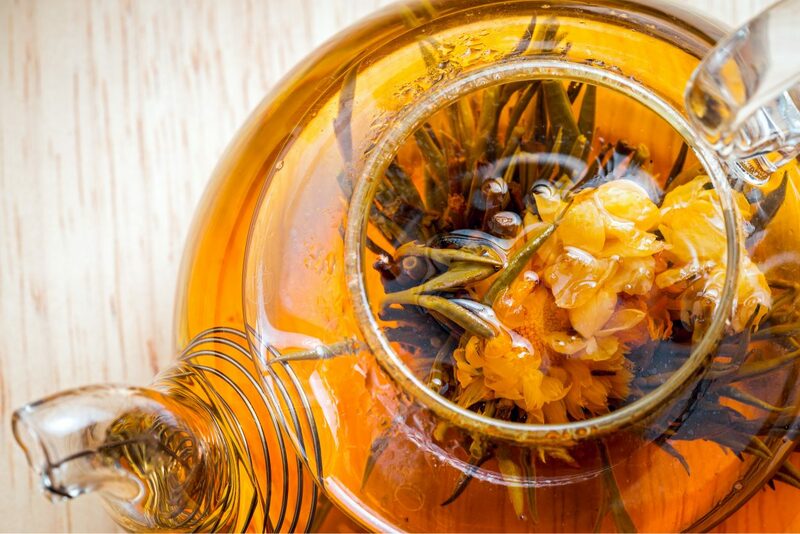 However, yellow tea replaces the grassy, bright notes with sweet, mellow notes and a silky texture. Chemically, yellow tea falls somewhere between black tea and green tea. It has the high level of caffeine and polyphenols you’d expect from black tea, combined with the high levels of theanine and antioxidants you’d expect from green tea. Oolong tea makes up only a very small percentage of tea drank around the world, yet this single tea type contains the biggest variety and diversity from one tea to the next. Green tea isn’t oxidised to keep it fresh and green, while black tea is completely oxidised to turn it rich and black. Oolong tea is partially oxidised, falling somewhere in between black and green. Some oolongs will be very lightly oxidised, so they taste very similar to green tea. Those that are highly oxidised will taste more like black tea. They’re all known for complex flavours. China is the largest producer of oolong teas, with Taiwan coming in second with several fine oolongs growing in popularity. China Dancong “Phoenix oolong” a family of oolong teas, not easy to find outside of China Fruit and floral notes, including orange blossom and orchid China, the home of oolong tea, produces many different varieties. They’re mostly produced in the Fujian province and have complex flavours featuring fruit or floral notes. Taiwan Alishan Large, rolled purple-green leaves from the Alishan region Sweet, fresh spring flowers with a fruity aroma After Chinese Fujian tea varieties made their way to Taiwan, they felt right at home in the mountainous terrain. Most of Taiwan’s oolong and green teas are consumed within Taiwan, but they’re receiving increasing recognition around the world. India Darjeeling oolong Finely plucked buds and top 2 leaves from the second Darjeeling flush Thick, muscatel, oxidised and sometimes chocolatey Typically, only oolong tea made from the second flush Darjeeling is considered a true oolong. First flush oolong is very light like a green tea and clonal oolong has a spiciness and floral tone that’s not typical of an oolong tea. Vietnam Imperial oolong Dark green curled leaves, produced in small quantities Lightly floral and citrusy With a little help from Taiwanese tea growers, Vietnam now produces a small amount of Imperial oolong, which is very green tea-like and barely oxidised. Will I Like Oolong Tea? If you enjoy drinking your tea without milk and trying gongfu sessions to taste the delicate nuances of natural tea flavours, you’ll love oolong. As they’re so varied, you’ll never get bored with oolong. Some dark oolongs may taste better with milk, but very few oolongs require additional sugar as they’re typically naturally sweet. As for health benefits, oolong contains a moderate amount of caffeine but less than black tea levels. The amino acids and antioxidants present will depend on how oxidised the tea leaves are. The darker your oolong, the fewer antioxidants there will be. 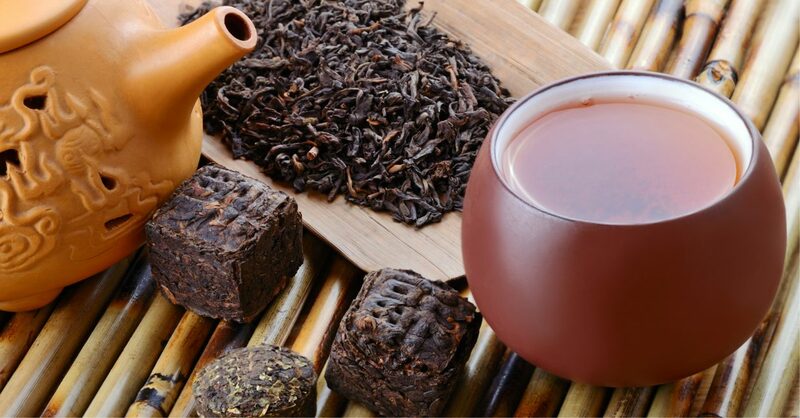 Pu’er tea is a very dark (known as black tea in China) and richly fermented tea. The tea leaves are picked, withered, fixed, rolled and left to dry out in the sunshine. Next, the leaves are carefully sorted to filter out old, large leaves, small debris and broken leaves – this leaves you with perfect tea leaves, this is called raw pu’er or “maocha”. Now the leaves are packed up into cakes or bricks, fermented and aged. Like wine or cheese, the tea needs time to develop flavour and character. All true pu’er tea comes from China’s Yunnan province. Like champagne can only come from the Champagne region of France, Pu’er is only made in this one location. Gedeng “Leather stirrup” large tea leaves harvested from the Yunnan Gedeng mountain area Mellow, honey sweetness, earthy and nutty These are the 6 great tea mountains in Yunnan, with a pu’er named after each. These pu’ers are the most well-known and available across the world. There are other lesser-known pu-er teas growing nearby, in the same region. Will I Like Pu’er Tea? The flavour of pu’er changes with age and can vary drastically. One pu’er could be sweet, floral and delicate, while another is woody, astringent and earthy. 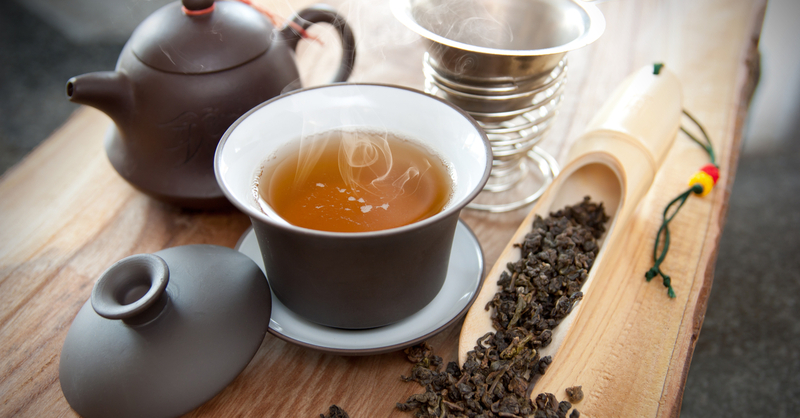 A low-quality pu’er might have a fishy or rotting flavour – don’t be put off! This isn’t what quality, aged pu’ers taste like. Like a black tea, pu’er is fully oxidised and as a result has fewer antioxidants. There’s very little research into the health benefits of pu’er, but most tea experts agree it will share the same health benefits of other tea types for heart health, cholesterol levels etc. You’re better off enjoying pu’er tea for the delicious flavour! Rooibos (red bush) is an herbal tea from South Africa. It’s naturally caffeine free and contains as many antioxidants if not more than traditional tea. Without flavouring or additives, rooibos tea is rich, full-bodied, sweet and a little nutty. It’s a great caffeine-free alternative to tea. 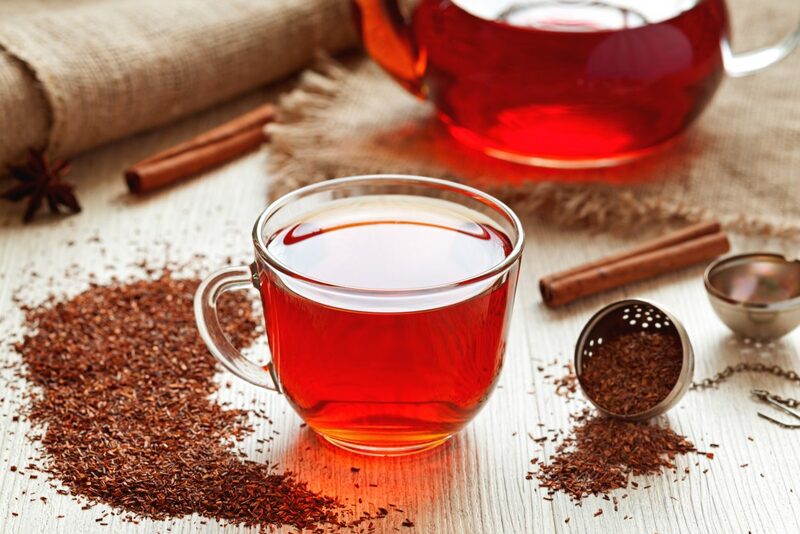 Health benefits of drinking rooibos tea include reducing blood pressure (thus reducing the risks of heart disease), improving skin and hair strength and preventing diabetes. Blooming tea is made from traditional tea leaves (usually large green tea leaves) and flower blooms. The blooms are hand rolled and stitched within the tea leaves to create a tea bulb. When submerged in water, the tea bulb blooms into a flower display in your teacup or teapot. While very pretty, most blooming and flowering teas are not made for the flavour of the tea. Blooming tea is more suitable for putting on a show than enjoying a delicious cup of tea. Bubble tea is a relatively new type of tea, created in the 1980s and gaining a lot of popularity. Bubble tea usually refers to a milky, sugary tea mixture with chewy tapioca “bubbles” floating at the bottom. 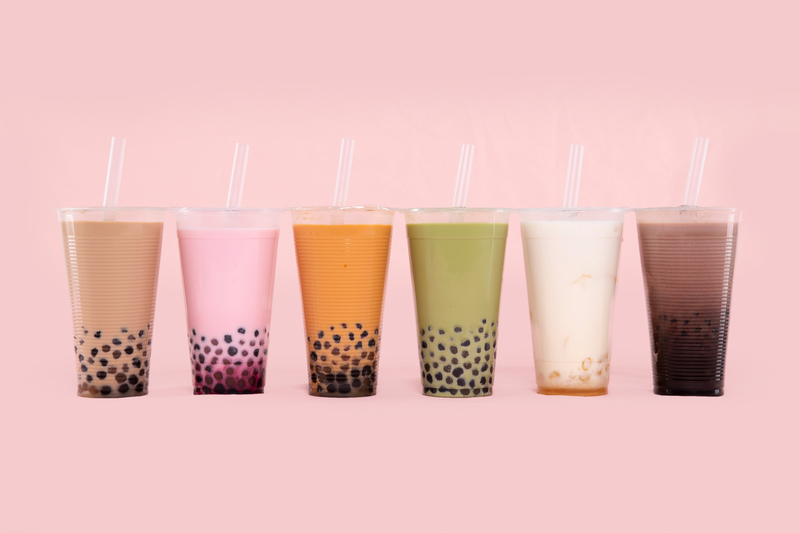 Not all bubble teas will actually contain tea and they’re not consumed for their health benefits – the high proportion of milk and sugar makes the more unhealthy, than healthy. Regardless, they can be very tasty and there are many bubble tea recipes you can try at home using your own favourite loose leaf tea.